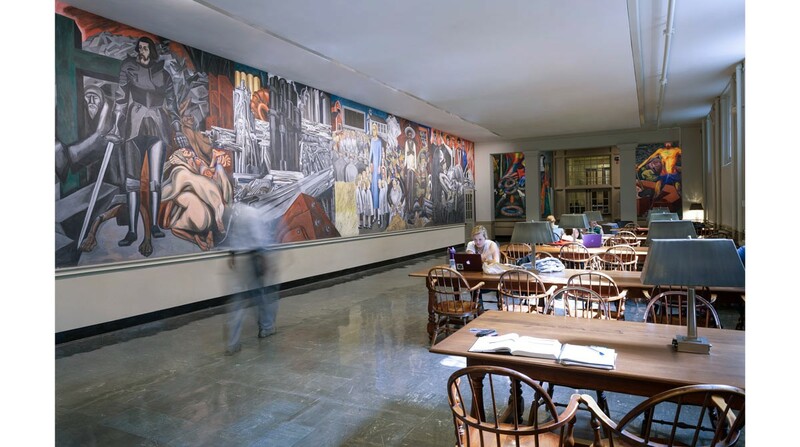 The walls of the Orozco Room in Baker Library contain some of the finest murals in the United States and are one of the greatest treasures of Dartmouth College’s collection. 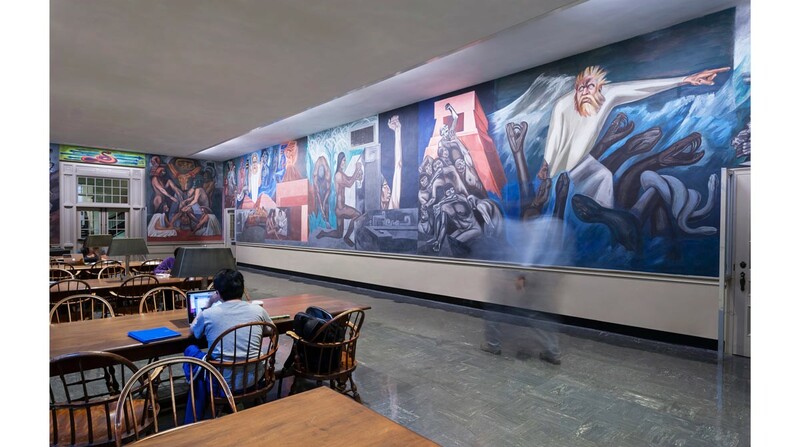 The murals, painted by the Mexican painter Jose Clemente Orozco between 1932 and 1934, titled The Epic of American Civilization, are a designated National Landmark. 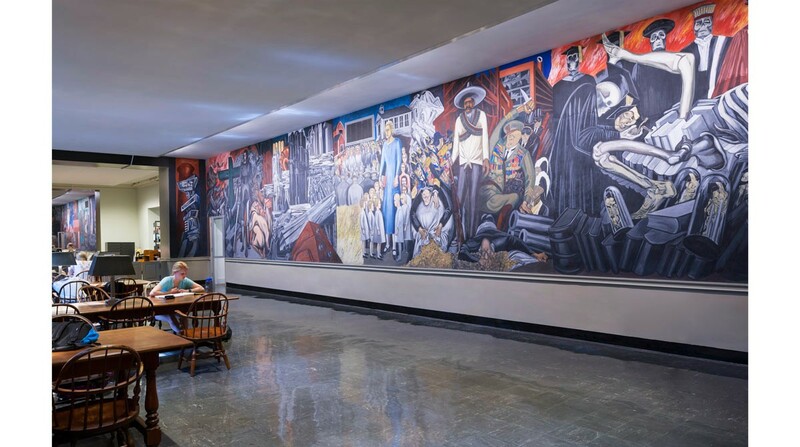 Fluorescent lighting installed in the 1950’s was removed and replaced with museum quality LED lighting that evenly washes the entire surface of the 3,200 sf mural while, for the first time, providing adequate light levels and accurate color rendering for this magnificent work. 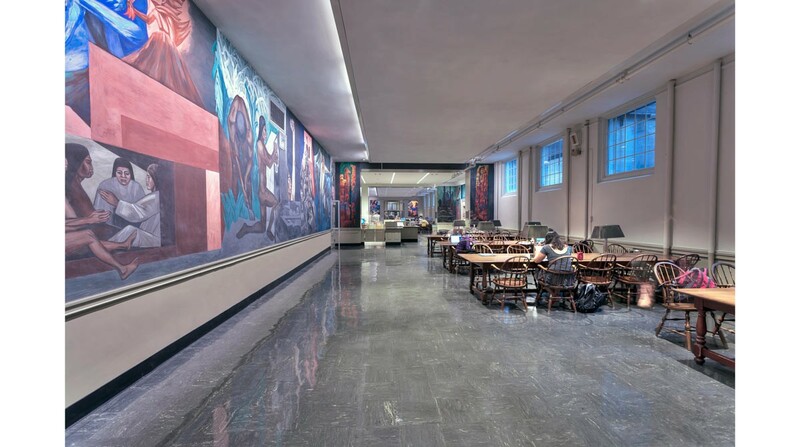 The new ceiling was designed to obscure the source of the mural lighting, provide ambient room lighting, task lighting, and noise control, all while obscuring existing mechanical equipment.